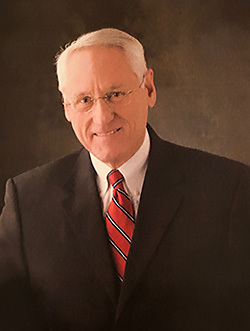 Professional Experience: Judge Maughan served as a state trial judge for eighteen years in the Third District Court, 1998-2016. He presided over major civil cases including personal injury, contracts, real property, medical malpractice, legal malpractice, probate, land use, and domestic matters. He presided over jury and bench trials and also had an extensive felony criminal calendar. He is currently serving as an active senior judge. He was a Salt Lake County Assistant District Attorney in the civil division for thirteen years, an Assistant Salt Lake City Attorney for ten years, and was in private practice with Bradley, Arrowsmith and Jackson for one year. ADR Training and Experience: Judge Maughan has completed ADR training from the Utah State Courts, the National Judicial College and the Utah State Bar. He has presided over many judicial settlement conferences for his colleagues and has conducted many pre-trial settlement conferences. He has served as a mediator for the Utah Anti-Discrimination Division. Served as a member of the Judicial Council for the State of Utah representing the Third District Court, 2008-2014. Selected by his peers to serve as the Associate Presiding Judge of the Third District Court, 2007-2009. Served as a member and Chair of the State Board of District Court Judges, 2003-2008. B. S. Brigham Young University, 1971. J. D. University of Utah, 1974. Member of the Utah State Bar, the 10th Circuit Court of Appeals, and the U. S. Supreme Court. Master of the Bench of the Aldon Anderson Inn of Court. Past Member of the Utah Supreme Court Advisory Committee on the Rules of Professional Conduct. Past member of the Utah Sentencing Commission. Past Chair of the State of Utah Career Review Board.